Settlement Management Software V2 - For Rename AnyThing It is not necessary, but it is useful to use the holotape anywhere. 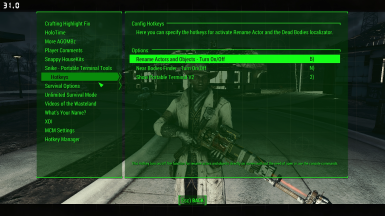 Menu integration for Settlement Management Software V2 if that mod is installed. 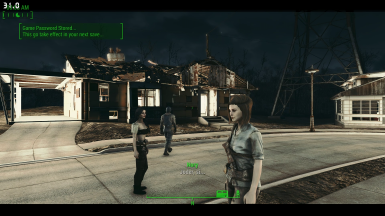 Menu for change the max settlement population limit. 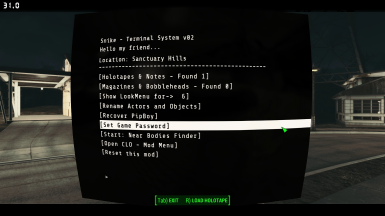 Rename Anything﻿ on screen interfase. TextInputMenu﻿ for the use of RA. 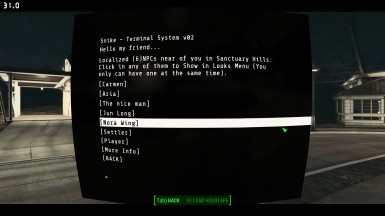 ﻿MCM﻿ integration: 3 Hotkeys -Rename Settlers and Objects - Localize bodies -open the portable terminal. 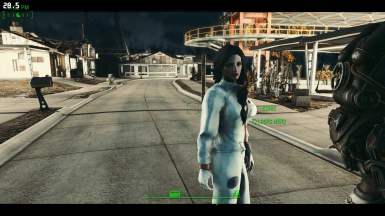 (instead of the use of ring armor slot). 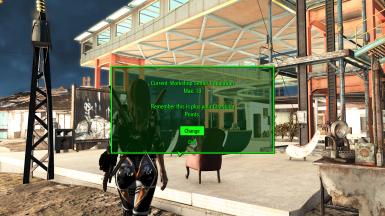 CLO - Custom Lighting Overlay﻿ - PTT dettect if you have this mod installed and fix the newgame bug and add it at the terminal menu options. 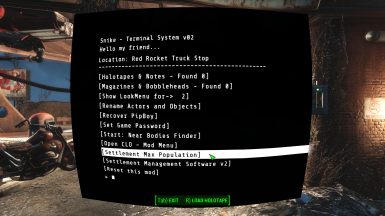 Menu integration for Settlement Management Software v2﻿ if that mod is installed. 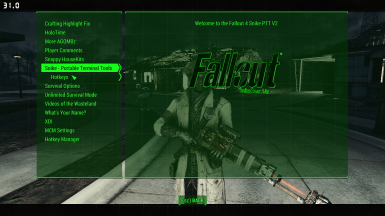 This mod add 2 portable terminals that you can have it like an armor using the ring slot. 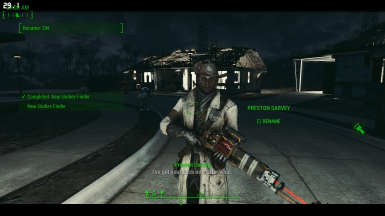 Normal and PowerArmor version. 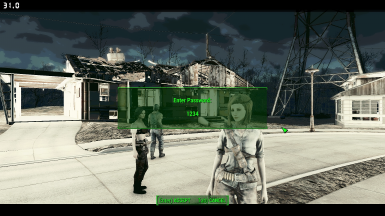 Set Password at your savegame. 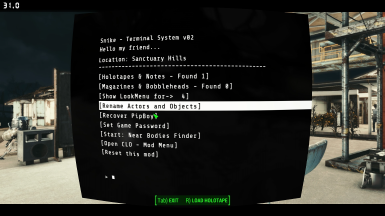 Load holotapes that requieres the terminal function... these kind of tapes that dont get full funtionality on pipboy. 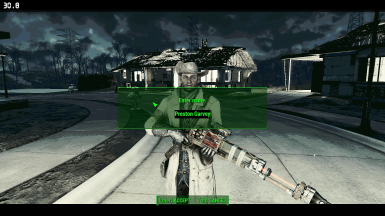 In new game you get 33 S.P.E.C.I.A.L. points. 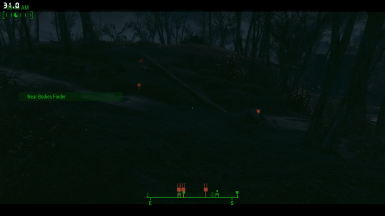 Drag and drop bodies, skeletons, and other things that you can't move before because they are marked like heaviest. The Localizer function gives you one kind of radar that shows you the proximity distance, message text and sound. like in the mission Hunter Hunt. This function have one range of 130 mts. 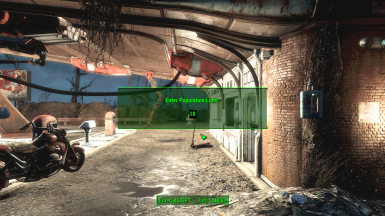 And only works for loaded Areas for reduce cpu usage. 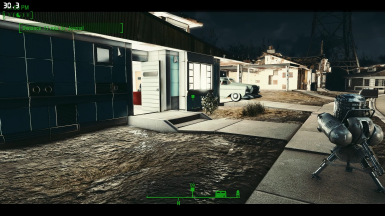 Works on interiors and exteriors and in any dlc. 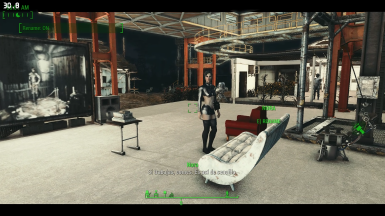 the things that many mods adds to you. 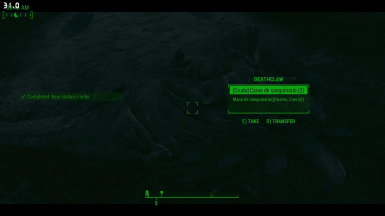 When you talk with Codsword the pipboy disapear but the things remains in your container.